The image I have of an adult woman? … . First of all, “she is calm”. I have this ideal because, as for myself, I really have no composure. Even when I’m sitting down, I sway. Also, “she drinks coffee”. 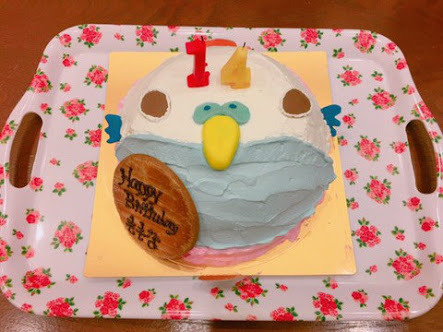 Well, it somehow is the typical image that a child has of adulthood (laughs). But I can’t help but really think this. Coffee? Recently I became able to drink some. But I really think about it, I think maybe I’m not liking coffee when I drink it. Sasaki Rikako-san, even though we are close in age, enjoys to drink it. When I saw this, I thought “This is cool ~!” and tried too, but thought that maybe it was ok for me not to drink coffee yet (bitter laugh). 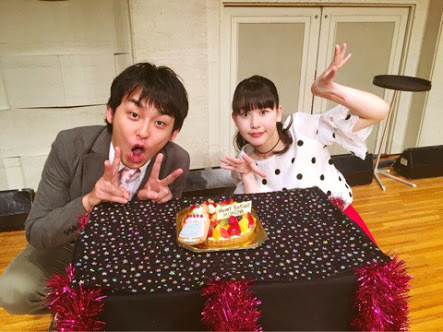 The person who I think “she’s an adult” is Yajima Maimi-san from °C-ute. Of course, that’s also because she is Hello! Pro’s leader, but, isn’t she simply beautiful? Yajima-san really gives an impression of “THE adult woman”. I, too, want to become a wonderful woman like Yajima-san but… will I be able to, someday? That is something we often say during MCs. 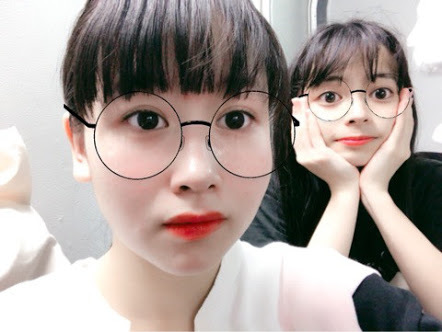 But there may be people in this world who think “Idols, in public, will try to keep up like they are in good terms, but in any case, it must be common that behind the scene the atmosphere is strained.” . 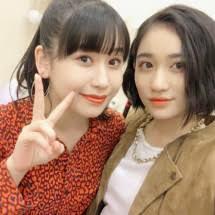 Something I understood when I joined the group for real is that the relationships and the communication in Angerme are so good that it is really miraculous. To the point that it’s quite impossible. After all, the nine of us even gather and go out to play all together on days off! This summer, when we went to the beach all together, Wada Ayaka-san said to all of us “Let’s come again someday, right?”… . 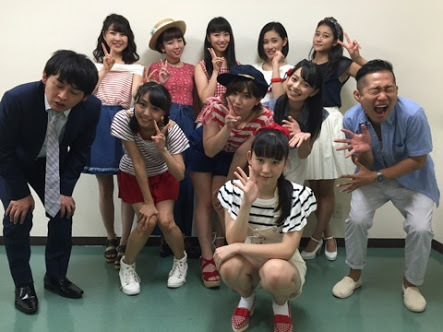 Because Wada-san’s love for Angerme is absolutely complete. I’m very proud of this. It might be impolite for me, as her kouhai, to say this but, the fact that she is innocent (/candid) is cute. Because she’s in any case a cheerful and bright person. Sasaki-san says “I hate the rain. 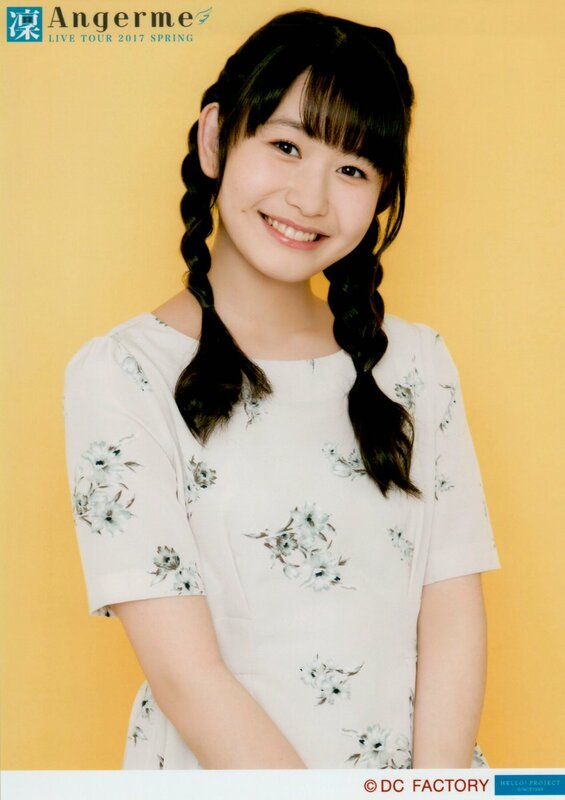 I love the sun”, but in my opinion, Sasaki-san herself is the sun! Also, while she usually has this cheerful and bright feeling to her, when she performs, she is incredibly cool. Her dancing and all are very strong. I can’t think she is in middle school like me. So, what I like the most about Sasaki-san is maybe this “gap”. The gap between her usual cheerful self and when she performs. By the way, Sasaki-san has more female fans than male fans. The other day, a staff-member who I hadn’t seen for a while told me “Kasahara, you completely became Angerme, uh?”. I was super happy. But, if there is a reason why I could grow accustomed to Angerme in only 5 months, it’s because everyone in Angerme is kind. There is no doubt about this. The other day, I was with Takeuchi Akari-san and I told her, “your gloves, they are the same as mine.” . 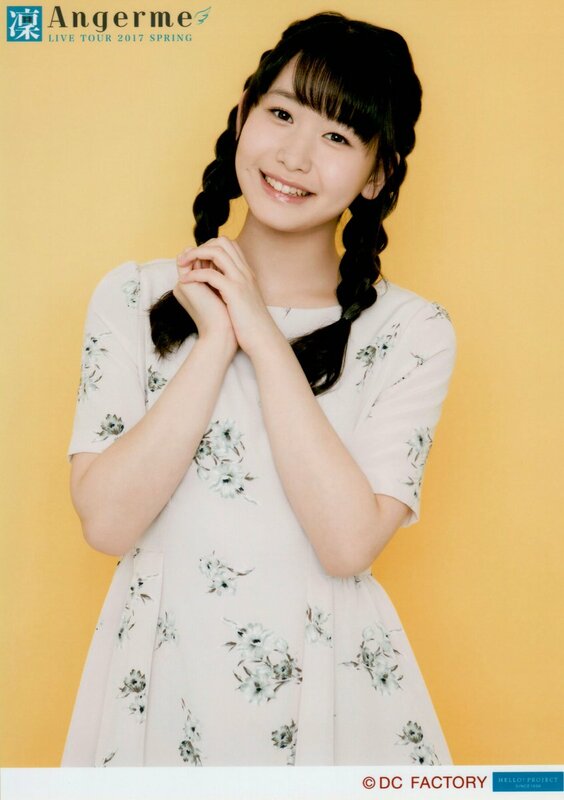 Later, I realized suddenly that, at the time when I had just joined Angerme, I definitely wouldn’t have been able to adress to her with such familiarity. In Hello! Project, there are a lot of idols. Angerme often say “We want to surpass Morning Musume”, and, in reality, we are aiming at the top of Hello! Pro. But, if we take a look outside of Hello! Pro, there is yet an incredible number of idols. Even though I’m an idol myself, I’m surprised by this. Also, the personality of members and groups is incredible! Everyone wants to stand out, even just a little, and is glittering. 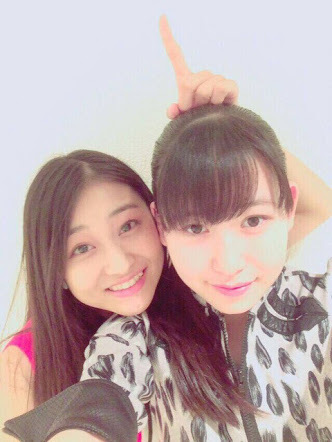 For instance, Angerme gets along well with Team Syachihoko-san. They come from Nagoya to Tokyo, waking up super early in the morning for their work. They work hard to try to catch even the smallest chance. Maneki Kecha-san’s concept is also so unique I feel overwhelmed. I also received a shock from Osaka Shunkashuto. Because in any rate they were too good at singing… . 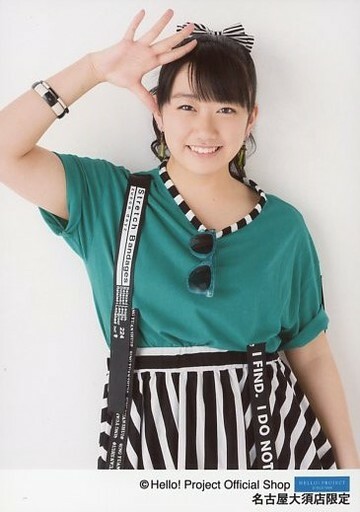 However, on some topics, the more I know a lot of idols like that, the more it reaffirms H!P’s coolness. Anyway, I think we’re living a difficult period. In my case, I thought I wanted to become an idol because of Morning Musume’s platinum gen. Especially because I love Kamei Eri-san. Of course, my feelings of love towards Morning Musume-san are still the same today. Apart of that, if someone asks me “what is the concert that gave you the most emotion/the biggest impression until now?”, I would answer it’s Angerme’s “Kyuui Ittai”. It’s Tamura Meimi-san’s graduation concert. This time, i got goosebumps non-stop. Of all concerts I’ve seen in Budôkan, this one was by far the one that left the biggest impression. Starting from then, I totally got into Angerme and listened to their songs everyday. At that time, I was still a Kenshuusei. I was told I became a member of this beloved Angerme right after this so… you can imagine how happy I was! 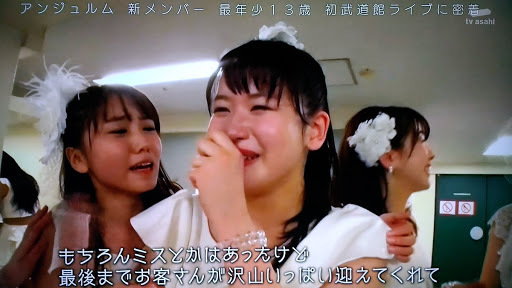 As a fan, I don’t think I move on from Morning Musume to Angerme, but that the frame of the things I love became wider. Because, when I first joined the Kenshuuseis, more than “liking Hello! 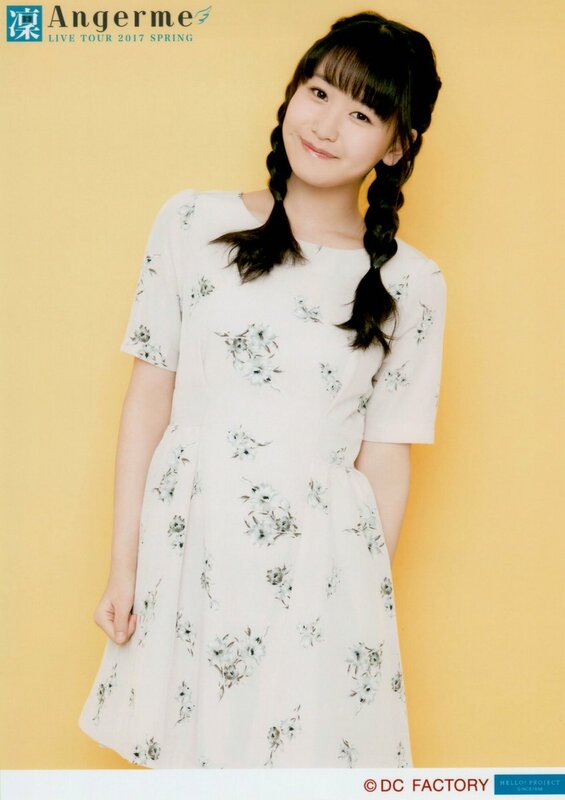 Project”, I rather used to love “Morning Musume”-san. When I saw Juice=Juice-san or °C-ute-san during the Hello! Concerts rehearsal, I was surprised to discover a coolness that was different from Morning Musume-san. I was still small. Maybe my field of vision was narrow. 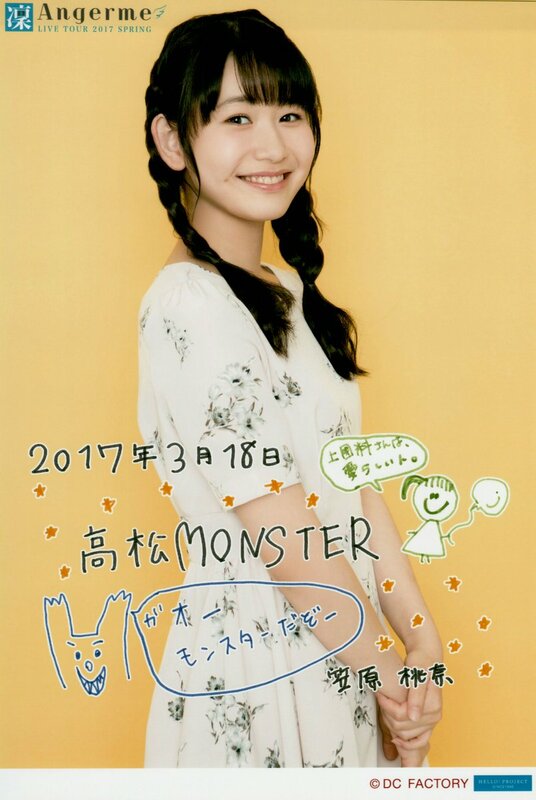 Angerme's Kasahara Momona talks about her love for Hello! Project with "20 Questions"!